It’s a boom within a boom. Marijuana edibles were projected to make up a $2.3-billion market in the U.S. in 2018 and to become a $5.3-billion market within the next five years. (See Report). Oklahoma medical marijuana food processors need to be aware of some new emergency rules affecting them, said Tulsa medical marijuana attorney Stephen Cale. The following is a general overview for educational purposes only and is not legal advice. If you have questions or need legal advice, or need medical marijuana consulting or auditing, call the Cale Law Office at 918-277-4800. Packaging must contain the statement, “For accidental ingestion call 1-800-222-1222.” This is the hotline number for the national Poison Control Center. There was that one police officer though. Did I say “police officer,” as in “cop,” “Five-O,” “Po-po,” and “the fuzz?” Yes. He didn’t die, but he sure thought he was after he and his wife ate some pot brownies. Check out the 911-call video. So, what’s considered a “package”? The new emergency rules define “package” and “packaging” as “any container or wrapper that a grower or processor may use for enclosing or containing medical marijuana. All packages and individually-packaged product units, including those from bulk packaging, must contain the Oklahoma uniform symbol in clear and plain sight. The Oklahoma uniform symbol must be printed at least one-half inch by one-half inch in size in color. 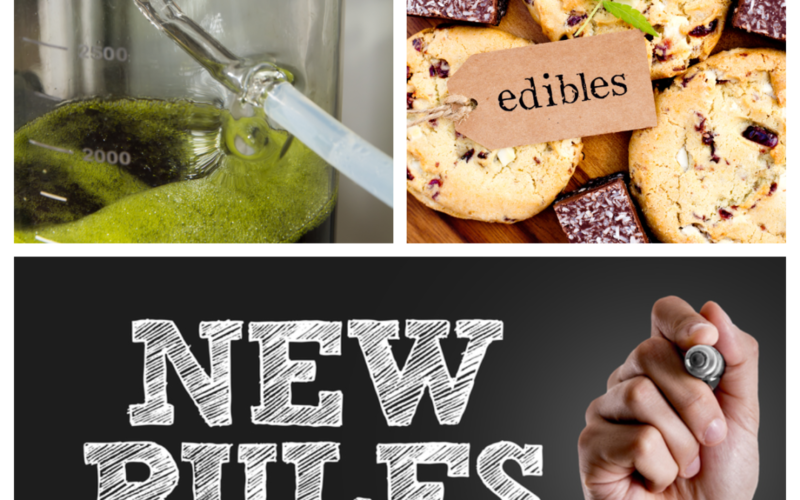 The new emergency rules set forth food safety standards processors must comply with in the preparation, production, manufacturing, processing, handling, packaging, and labeling of edible marijuana products. The new rules do not relieve the license processors of any obligations under existing laws, rules, regulations, said Tulsa medical marijuana attorney Stephen Cale. The rules can get complex. Some of the other rules set out testing requirements, best practices standards, and rules to follow under federal law. So, for additional information, legal representation, or compliance issues, call the Cale Law Office at 918-277-4800, or contact Tulsa medical marijuana attorney Stephen Cale via the web. Cale Law Office is dedicated to the practice of criminal defense and medical marijuana law. Our mission is to achieve the best possible results for our clients through hard work, attention to detail, and aggressive representation, and proactive compliance auditing and consultation. This is done while maintaining the highest level of professionalism, integrity, and ethical standards. Tulsa medical marijuana attorney Stephen Cale is a Legal Committee member of the National Organization for the Reform of Marijuana Laws (NORML). And, he’s not new to cannabis law. He consistently stays abreast of the complex area of marijuana regulations and laws, which is a huge benefit to his medical marijuana clients.